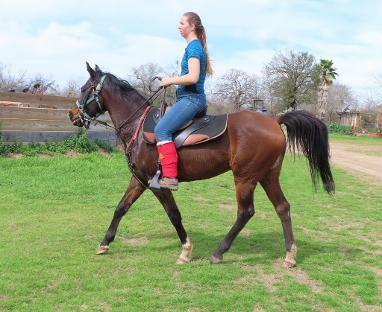 ENDURANCE HORSES FOR SALE, TRAIL HORSES, and SPORT HORSES! 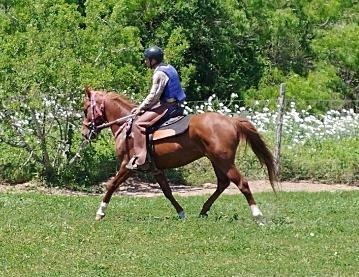 These are not just Arabian horses: they have been bred for several generations for the specific purpose of endurance, competitive trail riding, pleasure trail riding, and racing. They are bred for top quality in conformation, soundness, disposition and athletic ability. Welcome Arabian horses are in demand on on all levels: Local, National and International! 2018: Calfornia Cuyuma Endurance ride 1. Fire" had a wonderful day and came in 2nd and BC! "...August 2017: CATFISH MOE AND WMA BURNING FIRE Take first place FEI , best conditiion, high vet score and second place overall at Fire Mountain 2018! See our Reference page for more information on this amazing team! Fire is 2 star FEi and many times winner, BC! not for sale. FUTURE WINNERS FOR SALE BELOW! 2019: WMA ATLANTIC and Joel at the River Run endurance ride finished top ten with an excellent vet card! Ready for you! for sale. 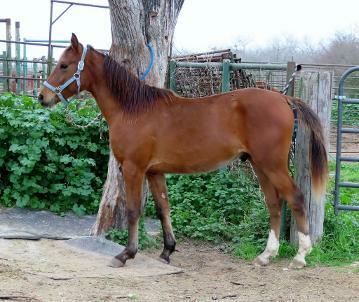 WMA REXELLA: 15 hand, beautiful 2015 filly by SAND TIKI SPECIAL. Completed first LD in top ten. Sold! WMA ATLANTIC: sound and sane, easy to ride, trained and conditioned 2015 gelding by Sand Tiki Special ,out of imported French mare. High class and top potential! for sale. WHADDA QT: 9 year old big 15-1+ hand mare, River Run ride 2019 she went top ten in her first two LDs. Easy to ride, sound and sensible, her long stride really covers the miles! Top contender for a heavyweight rider! For sale. MISS ZUBY:Safe trail or endurance mare! Big, muscular, large boned, proven athlete! 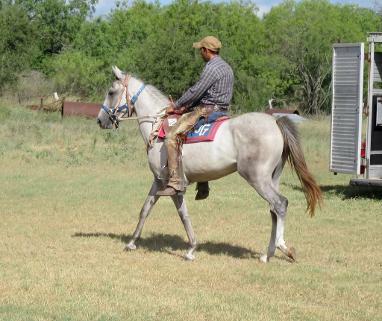 2004 mare, former racing champin. Very easy to ride--not spooky. Sire is CHANDAKA, dam is a daughter of CZUBUTHAN! for sale. NORTH WIND: 2017 colt by NORPHE (DORMANE) out of TIKI SAHIBER KU mare. Very correct and bred to be an athlete! raise and train up your own soulmate and champion! for sale. $2500. 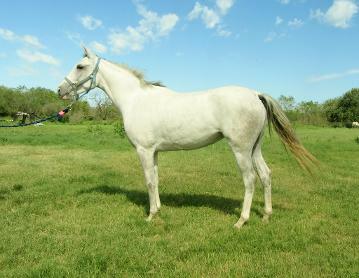 SILVER BELLE, full sister to Rexella, (above) age 3, well started, finish her yourself for your trusted riding companion! excellent endurance prospect. $3500. 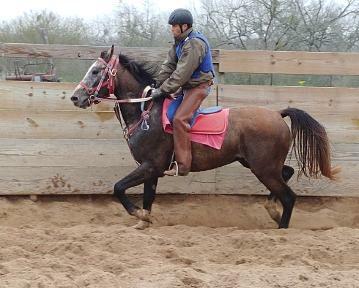 WMA POET: a big 3 year old gelding, sired by SAND TIKI SPECIAL, out of MONARCH AH daughter. for sale. WHADDA QT: 9 year old , big 15-2 hand mare sired by NO LIMITE (DORMANE). Just completed second LD in top ten(third place)! For Sale. LELY ROTERRA:(above), by LINEDANCER; former stakes and multiple race winning mare, now in training for endurance. 15 hands, sound, forward, easy to ride! 15 years young, looks and acts like a 7 year old! CLICK HERE FOR YOUNG PROSPECTS! DONT GET LEFT BEHIND!! You don't have to have a great horse to enjoy endurance, but it gives you an edge when you want to win! Welcome Arabians has 40 years experience breeding endurance winners! A solid proven breeding program is important! AERC DATA: WELCOME ARABIAN BRED ENDURANCE HORSES, FROM THE 1980'S TO THE PRESENT! Welcome Arabians has been breeding winners, best conditioned, FEI winners, and sound finishers, in the USA as well as Internationally! We have quite possibly bred more successful endurance horses than any one in the USA! WMA TINA: Now successfully campaigning with Mary Clark in the Eastern division! WMA REXELLA: Went top ten in her frst LD at River Run ride near San antonio Texas, 2019! 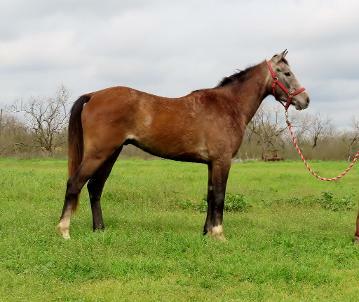 She is for sale at Welcome Arabians Ranch! 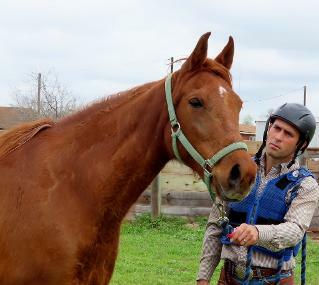 WMA COWBOY: 2019: Just completed his first 80 miler for Tina Schoba of Texas! She says" he was awesome on the trail with plenty of gas left at the end, excellent recoveries and vet score!" Burning Sand and Monarch ah grandson. wma RUTH: has first and second places, many top tens, and BC's for her owner Kelly in Colorado, 2017 and 2018. WMA LOVE DANCER: Sharon Andrews is delghted to go top ten in her first endurance ride, 2018! wma ANGEL POWER: Completed her first ride, 30 miles at Shanghai Trails March 23, 2018, in third place, with excelent vet card! She is SIRED BY SAND TIKI SPECIAL. Now has a new owner in OHIO who says "she fits her name perfectly"! WMA DESERT SAND: winner 2017 in Florida for Roxie Welling, now owned and competing in the middle East, and 2018 competed in the Presidents Cup in Dubai! sired by THE KENTUCKIAN (Burning SAnd) x Monarch ah daughter. wma WHITE SANDY: Shanghai trails Endurance ride, March 2018: completed his first LD, 30 miles, in 4th place and all As on vet card! Sired by SAND TIKI SPECIAL. Owned by Lucian Spataro, author of THE LONG RIDE. Fire, Catfish Moes champion endurance mare. AMIRAS TRAVELER: placed 5th, 6th and 4th on first 3 rides 2017-2018! Foaled in 2018, then back on the trails in the Eastern division. wma Pastella: July 2017 Kendall Ingraham had her first win at the oregon Sunriver 50 Miler! Pastella had previously won a 50 mile competititve trail ride, and has successfully completed several other endurance rides. WMA BANDY THE CLOWN: several successfully completed LDs in California 2018 for owner Catfish Moe, preparing for 50's! (Burning Sand x Kontiki pedigree). wma ABLAZE: First ride for a 4 year old gelding, 2017, a completion with nearly all A's on vet card! Has a new home in Iowa! wma FANTASTIC, aka "Mahina", 2018 winner in Florida! This mare completed her first two LD's, placing 2nd and third (against 42 riders! )in THE LAST HOORAH and OLD GLORY, May 2017! Now owned by Don Holt of North Carolina, who has made her a recent winner,and B//c and is preparing her for more competition! Sired by SAND TIKI SPECIAL, out of Monarch ah daughter. almost unbeatable in the Pacific Northwest, with many wins and BC's! WMA FLORES: first ride, first place! Congratulations Stacy Ellerbe for riding her to her win at OLD GLORY May 29, 2016! SHE IS DOING WELL IN ENDURANCE COMPETITION IN THE MIDDLE EAST 2017 and well loved by her new owner! WMA TROPICANA: Second ride 5th place out of 65 riders at the Armadillo October 2017! FIRST ENDURANCE RIDE, TOP TEN AT HEART OF THE HiLLS, FEB 2017! Sired by THE KENTUCKIAN. New owner Sarah plans for more competitions in 2019. WMA RIVERSONG: A first place and a second place in her first two LDs in May 2017, then has gone on top top finishes in the 50 milers! 2018-2019 is training now with new owner in Eastern division. WMA FANCY FAYE: 2016, two rides: second place at OLD GLORY ride, and top ten at THE LAST HOORAH! she is by THE KENTUCKIAN,(Burning Sand) out of a WIKING daughter. exported to the middle East for more endurance racing! wma SPECIAL ROSE: first LD, top ten out of 42 riders at Old Glory 2017, and raced on the track 2017, rated in the top ten in USA! She is sired by SAND TIKI SPECIAL, out of an Monarch ah daughter! Now owned by Lettie Smeding of Caifornia. WESTERNS CHARM; 2016 finished top ten out of 65 riders in the HIGH ROLLER 25 miler, the first endurance ride for her and her rider! Her second ride was March 2016 at Heart of the HIlls endurance ride, where she again went top ten, this time in the fifty miler! WMA BURNING FIRE: 2018 Fire just ran second and B/c in California; 2017 FIRE earned her second FEI STAR, finished third in tough Northwest 75 miler. First place and best condition 2016 at Indian Springs Endurance, Then ran second place to her sister,(wma Firelight) and High Vet score at the Wild West Pioneer ride in California! September 2016 she has ran second in the New Mexico FEI ride! Congratulations to her owner: Catfish Moe! 2017; 13 rides, 4 B/C's, 3 firsts 2 seconds many top tens! 2017 completed TEVIS CUP, 23rd place! Sired by THE KENTUCKIAN, by Burning Sand. WMA STEADFAST: 16 rides, 14 completions, 4 BEST CONDITION, 12 top ten, a first and 3 second places! Congratulations Dennis and Susan Summers! wma GLORY BOUND: first ride 2017 at GREENWAY GETAWAY, Florida. Lisanne says: "She was perfect!" wma BALLERINA: Darlene Batson reports that she and Ballerina successfully completed their first two endurance rides (2016) in Alabama, "Ballerina is my dream horse, a gift from the Lord! Thank you Rita"! 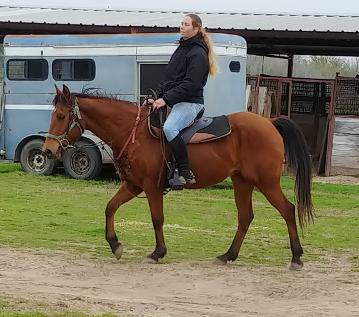 She moved to California for a different owner in 2018 who has plans for endurance. WMA SEA WALKER (Chunky Monkey) took B/C at his first 50 miler 2015. Susan Summers says he is turning out to be "good minded and talented!" He took 5th in the 50 miler Milwaukee Rail Trail ride, fall 2015 with Kendal Ingraham. 2016 won 80 miler, and tied for best condition with Susan Summers. Three B/C's and a first! WMA ROSEMARY SPICE: Three rides, three completions with one first place! WMA THE CALL: Placed second in his first LD, July 19th, 2015! Successfully completed his first 50, fall 2015, and still going! "He is fantastic I love my boy!" says Jamie Hughes from Oregon. OH SUSANNA: Endurance champion! Peach has been winning Endurance Races in the Northwest since 2011, after having a very successful racing career! Fall 2015-winter 2016, she took five first place wins and best conditioned for Dennis Summers! Back on the trail again 2017, she tied for a win at 50 miles! 2018 is back on trail winningnagain in the Northwest!! wma SANDPIPER: First place 2014: Continued Success at endurance in THAILAND, Her owner Wooti plans to go to 120K, FEI in the future! wma SHADRACH: 36 RIDES, 35 COMPLETIONS AND 5 B/C'S in the midwest! wma PROCLAIM: 28 rides, 28 completions, 2 Best Condition, 22 top tens. wma NEWEST STYLE: 2014 winner of FEI 80 k and two FEI 120k rides in Oaxaca, Mexico, best conditioned, for owner Mary JaneGagnier. Qualified for the pan-am endurance competition in the US, continuing success in Oaxaca, Mexico. wma LOVES BANNER: 7 rides, 7 completions, 4 B/C's, a first, a seconds, and 2 thirds, for Marilyne in New Mexico! WMA ALOOF: 17 rides, 2 B/c's and 7 top tens! WMA OVERBOARD: consistent winner and Best Conditioned awards 18 RIDES, 10 FIRST PLACES, FEI 1 STAR, 2 STAR, AND THIRD PLACE, dominating his division in the midwest for Julie Jackson! wma RADIANCE: "Cinco" : 2011-2014: 8 rides, 6 firsts and 5 best conditioned, one second place: at 50, 75, 80, and 100 miles! A Northwest Champion endurance mare after being a racetrack winner! wma ZEBULON : 2009 and 20:10, 2011 National Champion endurance horse of Mexico, winning over many miles of rugged terrain, mostly in Southern Mexico. WMA LIGHTFOOT; Another racetrack winner,was successfully competing in Endurance in THE CENTRAL REGION. HE was IAHA NATIONAL CHAMPION, AND completed 3025 miles endurance miles, 90 races, including a 2nd and a third in 100 milers. He has 7 wins and 39 top 5's which included many second places, many awards, including IAHA National Champion Endurance horse! 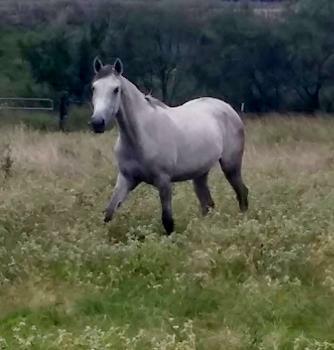 WMA GODSPEED: Sired by THE KENTUCKIAN completed her first 50 mile ride to the complete happiness of her owner near San Antonio Texas! WMA LA PRINCESSA: 25 rides, 5 top tens, FEI 1 star and 2 star, completed the Biltmore Challenge! WMA CHALLENGE; After racing at Los Alamitos , he competed successfully in endurance for 6 years, completing 1405 miles and 28 rides with several wins and top 5's. He completed 150 miles in 3 days, taking third, third, then a win at the Death Valley ride. wma RENEGADE: 24 rides, 24 completions, including five 100 milers, and placed 19th in the TEVIS CUP! wma RUTH: 10 rides, 9 completions, 9 top tens and a first for Jim in Colorado! Nw going on with Kelly addiing more wins, seconds and B/c! wma SAMUEL: Competed for 8 years, Completing 4760 miles and 96 rides!! He had 7 wins, 15 seconds, and nearly all others were in the top 10, receiving many awards--AND he is barely 14 hands tall! Congratulations Sherrie Reimer of Texas! wma salvation: 29 rides 27 completions, 6 top tens. completed National champion ride. wma RATTLER, "RIO": cover horse for ARABIANS magazine, featuring the Canadian Champion endurance ride in 2008! He completed 1430 miles, 43 races over 9 years. He won 19 of these races, and placed second 11 times, 9 best conditioned awards in the Central region. wma THE CALL: 5 RIDES, 5 COMPLETIONS, one second place, in Oregon. wma SILVER SWORD: 7 rides, 7 completions in the midwest , after winning on the racetrack! wma BURN BAN: 6 rides 6 completions with junior rider. WMA SHEKINAH: 14 completions 5 top tens and and one win. WMA NIGHTBURN" 7 rides, 7 completions and a second place in 2016.
wma La Pluma competed successsfully in FEI Interational competition! WMA HOLY FIRE: race track winner, then endurance: 20 rides, 19 completions, from Michigan to California! WMA ALOOF: He competed for 8 years in endurance after winning on the racetrack. 17 rides, 8 in the top ten, and two b/c's. 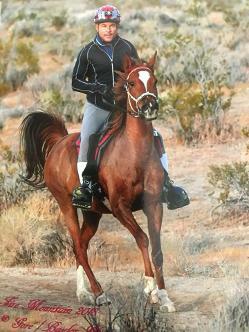 WMA CISGO: Competed in 1405 miles, ten rides with 9 completions for his novice rider. WMA DRAGONFLY: Ran ten rides, completed 8, all top 15. WMA ZACCHAEUS: many times winner and runner up on the flat tracks, he competed endurance for 5 more years and 780 miles. 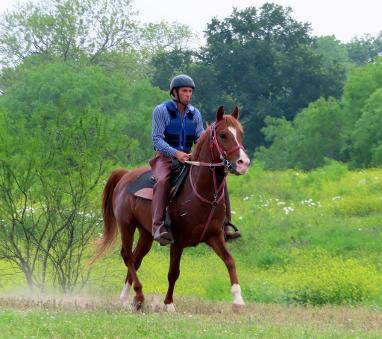 WMA WMA ELECT: 500 miles in endurance, completing 11 rides, all but one in the top ten. WMA KOREM: 10 rides, 9 completions, 6 top tens. WMA KORINA: Ten rides, 9 completions, 6 top tens, TWO BEST CONDITIONS..
WMA CALGARY: 275 miles 5 rides, 4 completed,4 top tens, one 100 miler. wma THE ROCK: 21 completions 4 top tens. wma AFTERBURNER: 8 completions, 4 top tens. 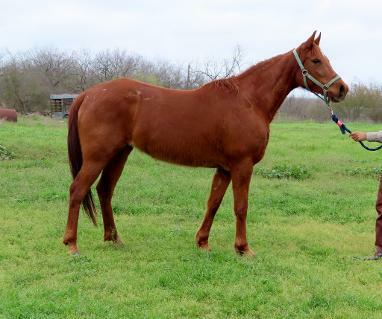 FOR MORE HORSES FOR SALE CLICK HERE!